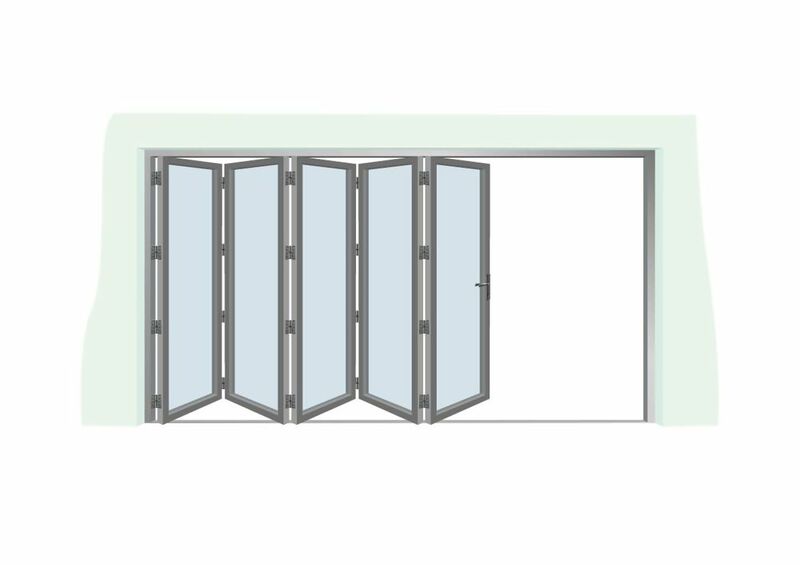 Aluminium Bi fold doors are now recognised at the must have feature in the design of any modern housing, home renovations and retrospectively fitted extensions due to their ability to bring the outside in and maximising the light into the property, whilst still retaining the comfort of being inside. Glow doors are available in Grey, Black or white with slimline frames which allow maximum light to enter. Enter the size of the opening in millimetres. Min width 1500mm max 6000mm. Min height 1800mm, max height 2400mm. Doors images are viewed from the outside.